Almost halfway into this incredible classic, To Kill a Mockingbird, and I thought, I just must document my thoughts in this informal book review. Firstly, I must say high school set books usually come with so much richness in knowledge and wisdom that many of us take for granted in our teen years. 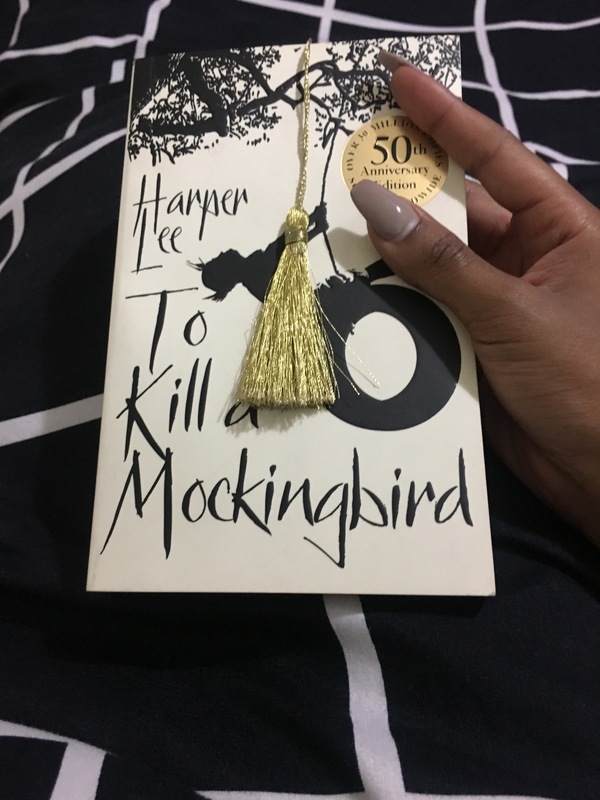 Fortunately for me “To Kill A Mockingbird” is one of those books that I did not have the privilege to dishonor growing up and as such, have gone back to this Classic at a much mature stage to appreciate it in totality, after gathering much wounds in adulthood to increase the appreciation haha! From the minute I opened this book after purchasing it. There was something about it that silently whispered “let’s go back to the basics of humanity that are very much overlooked yet necessary”. Harper Lee (May her soul Rest In Peace) wrote a masterpiece. I have never read a book so deep and easy at the same time. The perception I have of classics is that they are books written decades ago and hold a certain air of seriousness and morbidmess. Boy is this book funny! There are not many books that can get a serious message across and in the same sentence make you ball your eyes with laughter. The innocence of Scout and Jem is one thing you will definitely fall in love with. Atticus and Calpurnia are the definition of a “Star Team” and Atticus’ conviction to his conscience is one thing I admire most as it teaches one that at the end of the day, despite how you believe people have wronged you and insulted you and taken you for granted, people are people who are just trying to live; and the more you let your peace reside in their presence the easier it is to help them heal. So far, so flipping good 💯🔥.